Any holiday that revolves around food is undoubtedly a favorite holiday. Thanksgiving is, of course, at the top of the list. The entire holiday literally revolves around food, and what way to better honor that food than to present it on a beautifully decorated table? With the much-anticipated food-fest just around the corner, it’s the perfect time to share some tablescape inspiration for those of you who are hosting this food-and family-oriented at your homes this year. 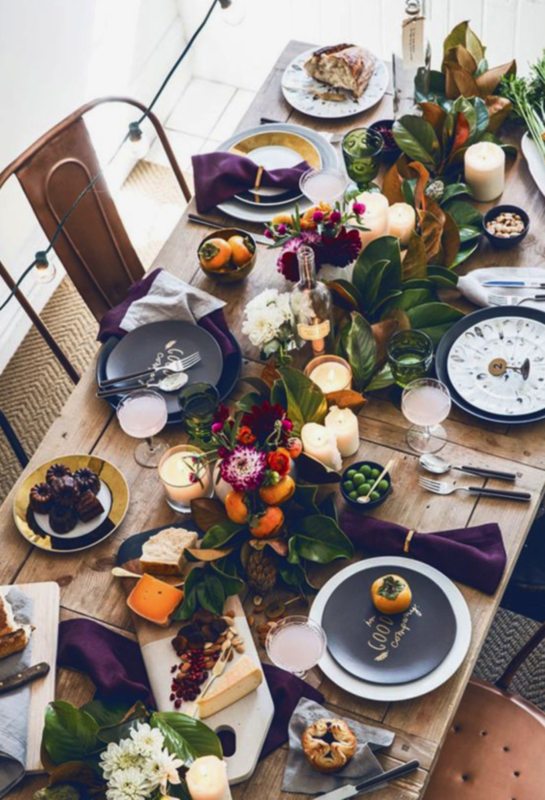 While a traditional pumpkin and fall colored table is always beautiful and festive, throwing some other elements into your tablescape can really make your table pop. 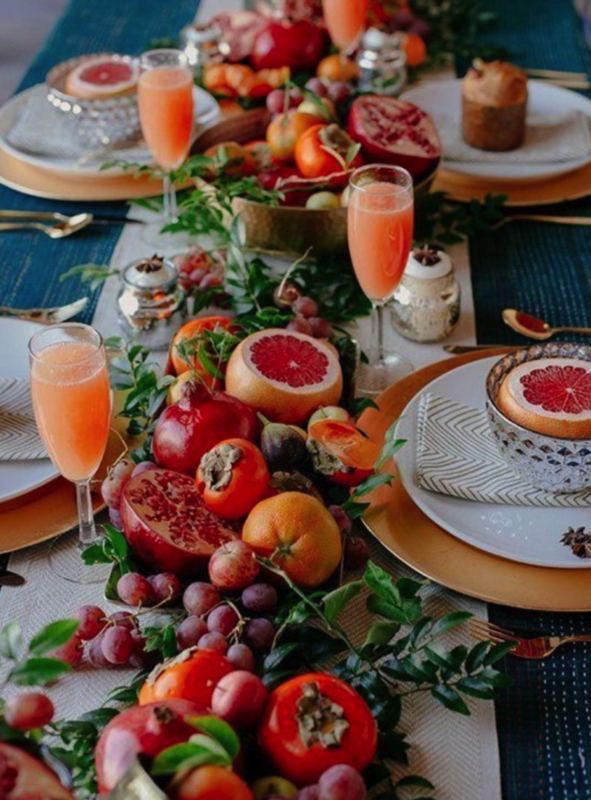 With the use of other seasonal fruits like pomegranates, citrus fruits and apples, a table can come completely alive with color! And even though the typical fall elements aren’t making an appearance, the tables still clearly scream “fall” and provide a cozy and inviting place for family members and friends to come together for the holiday. 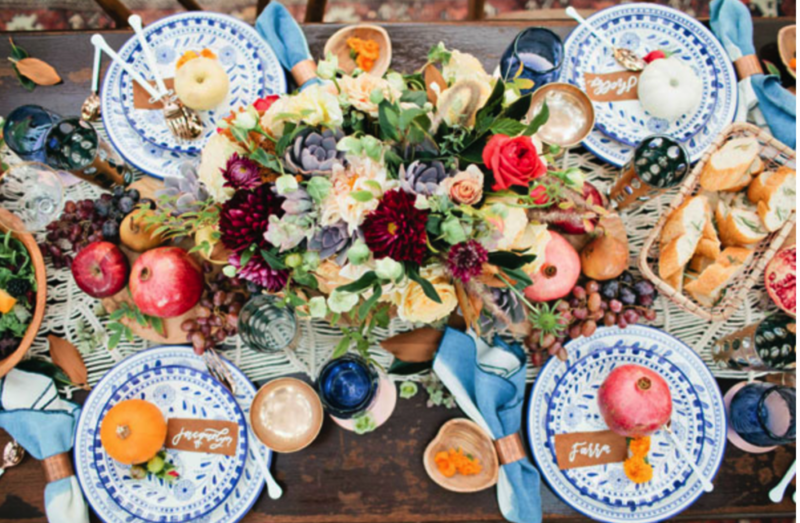 If mixing fruits and flower isn’t your thing, you can still customize your table using other fall elements and colors. Plaid scarves and deep blues, purples, reds and black are all fall colors that can be intermixed on your table to introduce some pops of bold colors and patterns. 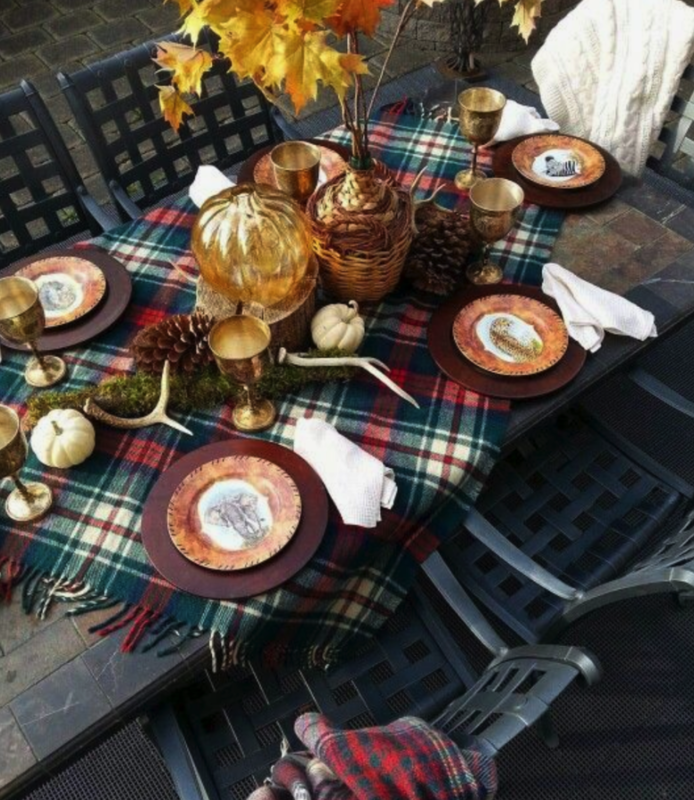 Your guests will be feeling all of the fall and Thanksgiving vibes with these cozy tables! From all of us at With Grace and Love Events, we wish all of you a fun, safe and tummy-filled Thanksgiving. 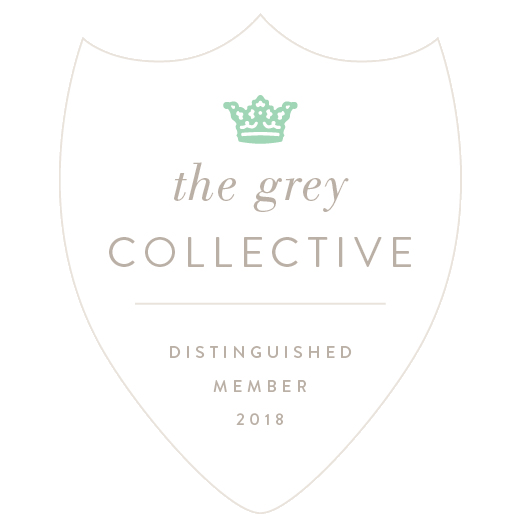 We are most thankful for you, our wonderful clients (past, current and future! ), vendor partners, our families and our friends. Thank you for making our job so enjoyable and fulfilling every day, month and year!